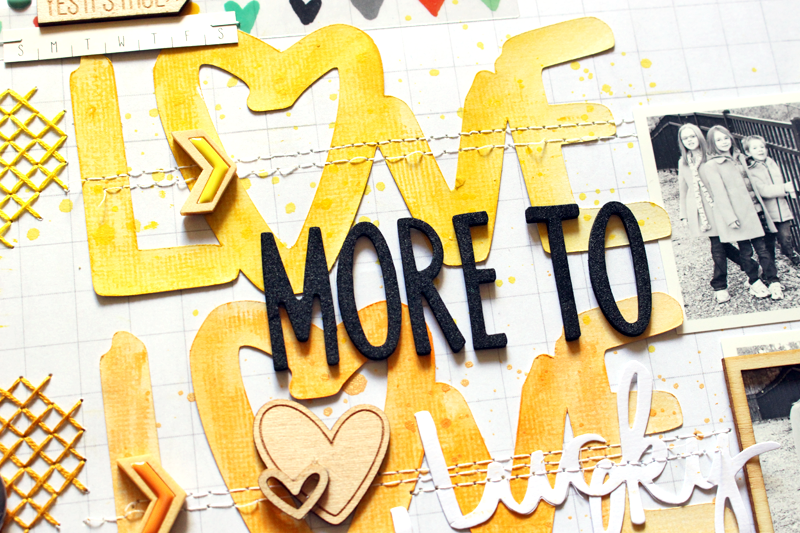 I wanted to create a bold title area down the center of the layout, so I used the Love Letters cut file from The Cut Shoppe and cut the word Love from White cardstock. 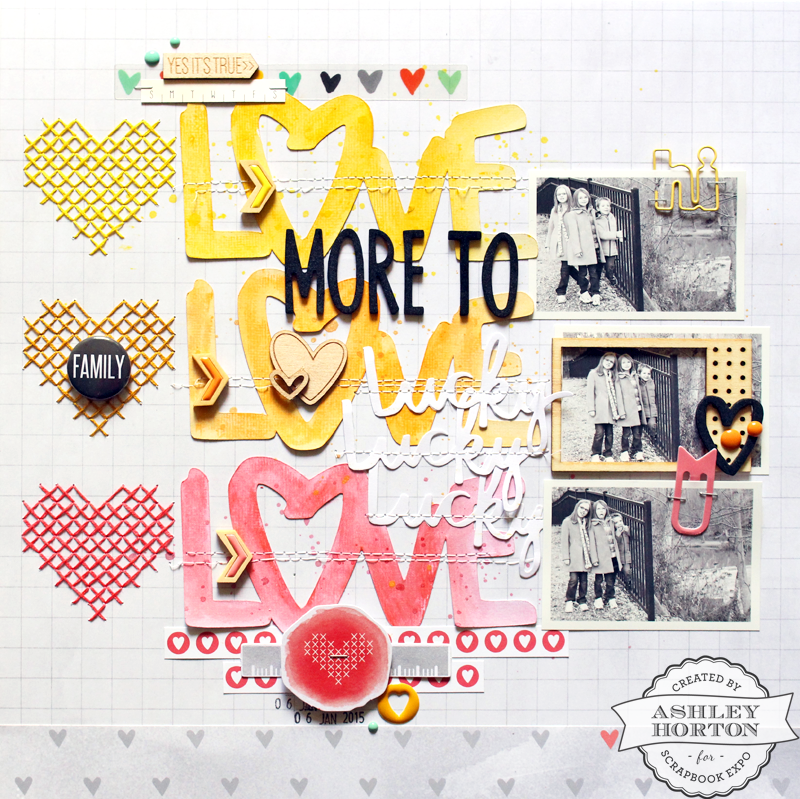 Then I used three colors of Gelatos and just blended the color on each of the cut files. I also wanted to add some stitching, so I used the Amy Tangerine Embroidery Stencil from the Stitched collection, to add three hearts that coordinated with the Gelato colors. 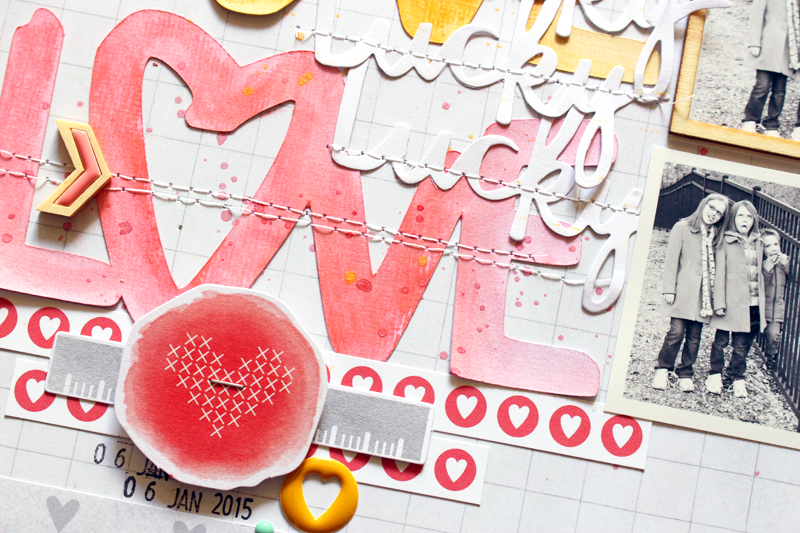 And to create one more layer on the title, I die cut the word Lucky from the Amy Tangerine Stitched Dies and added some machine stitching for a little bit of texture! Thanks for taking the time to stop by today! I hope you have a great weekend! !